[Video] Spring/Summer Fashion Trend Color Neon! Summer is just around the corner and the neon trend is in full effect. Check out some fashion tips from stylist Lauren Messiah on how to rock this trend without over doing it. I recently got a neon print dress that I will be rockin' in Miami this week. Stay tuned in the meanwhile see what Lauren has to say about this summer trend. #1- Tone your look down by pairing neon with pastels. Try mixing a pair of neon pink jeans with a light pink top for an on trend/ not-as-blinding look. 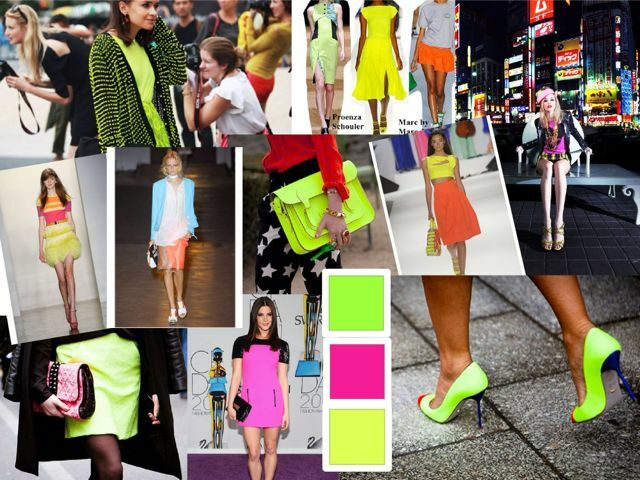 #3- For a bolder look try neon color blocking. I love the combing orange and green for citrusy spring look. #4- Don’t spend a ton of cash on this trend. H&M, Zara, and TopShop have a great selection of neon pieces for less right now.